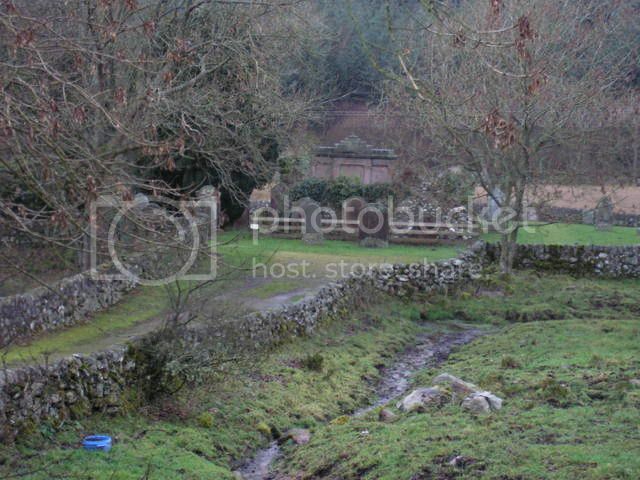 On a minor road off A710, 1.5 m N of Caulkerbush. 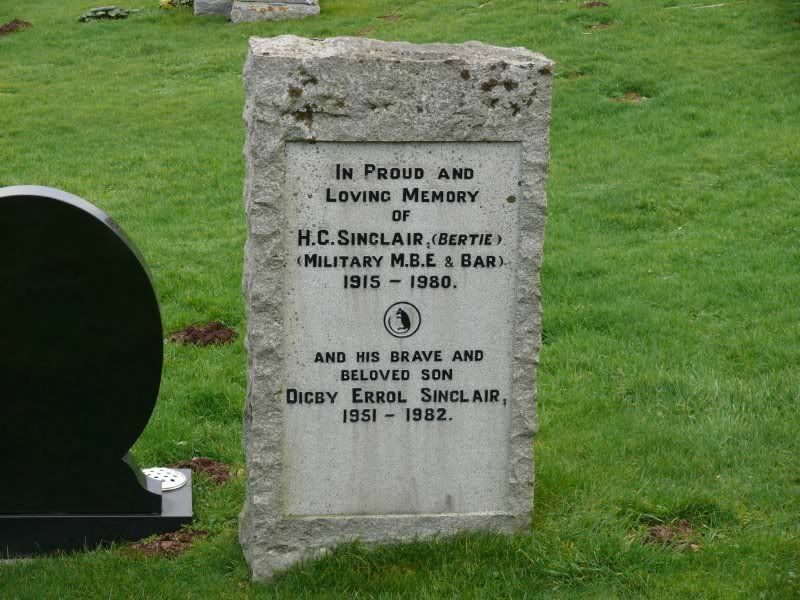 Thanks to Ken Morrison for the cemetery photo. 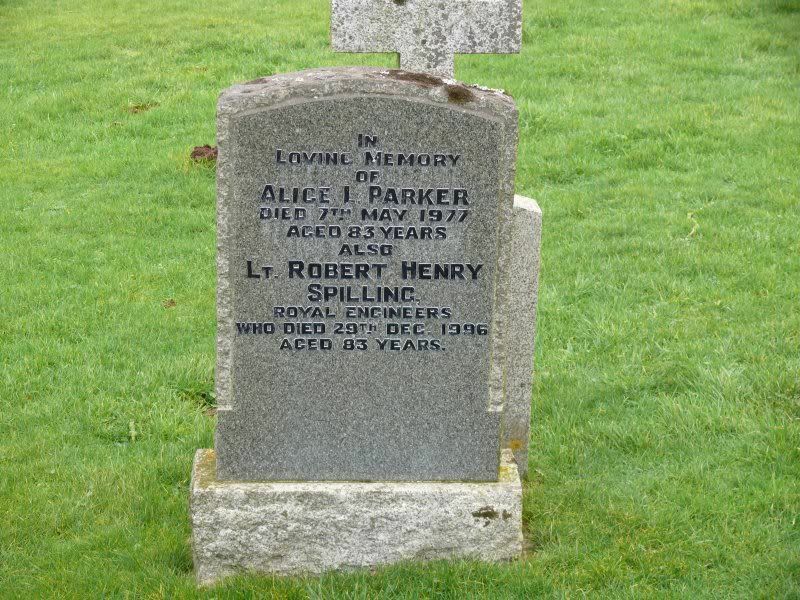 There are two men listed but certainly not brothers (from the inscription of their parents names) so perhaps cousins? Additional information: Son of Walter B. and Catherine Davidson of 61, School Lane, Didsbury, Manchester. 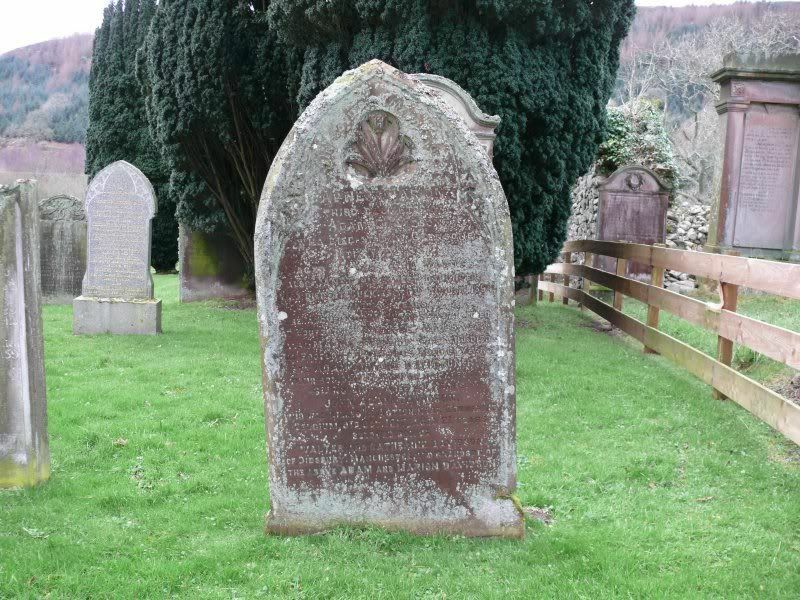 Grave/Memorial Reference: Panel 120 to 124 and 162 to 162A and 163A. 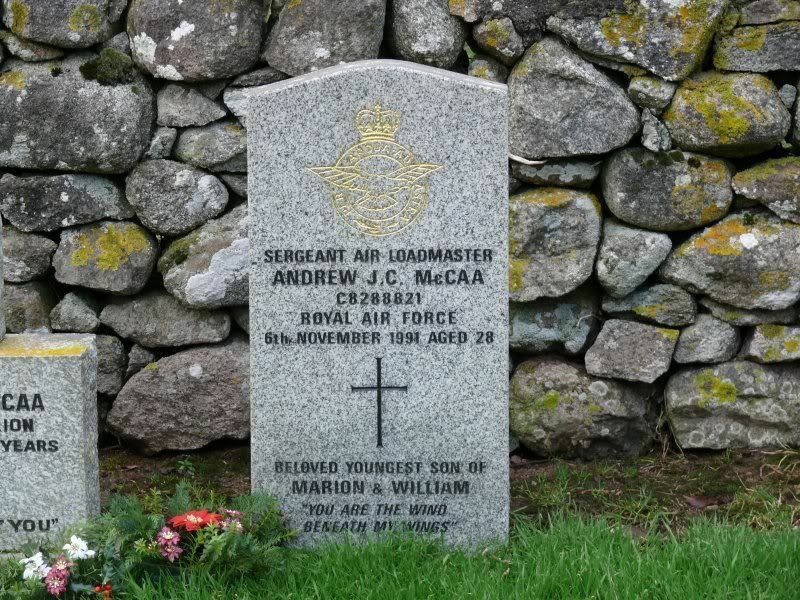 Bit of a mystery here, the stone says Military MBE and Bar, but you can't get a bar to an MBE or any other orders of the Empire, except the BEM and that is only possible in theory, I have never heard of one. 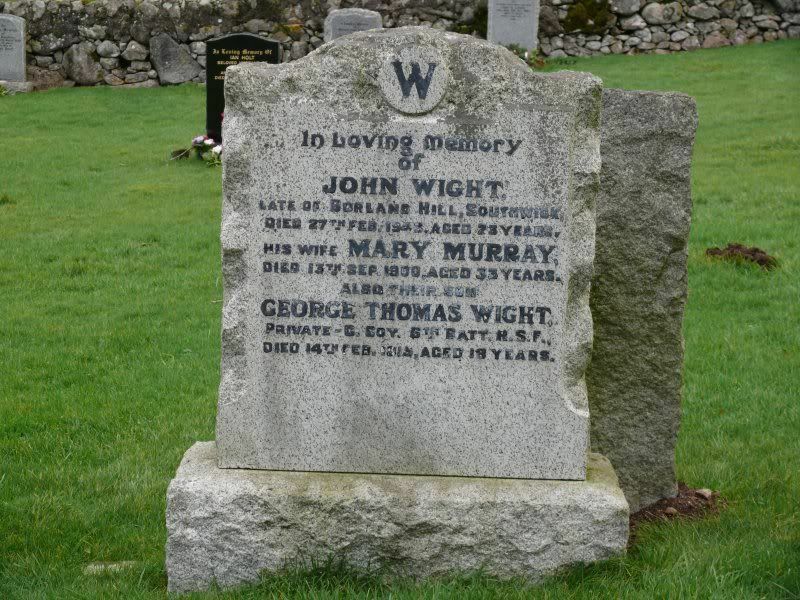 Additional information: Son of John Wight, of Terregles Lodge, Dumfries. From the roll of honour on the Armed Forces Memorial. 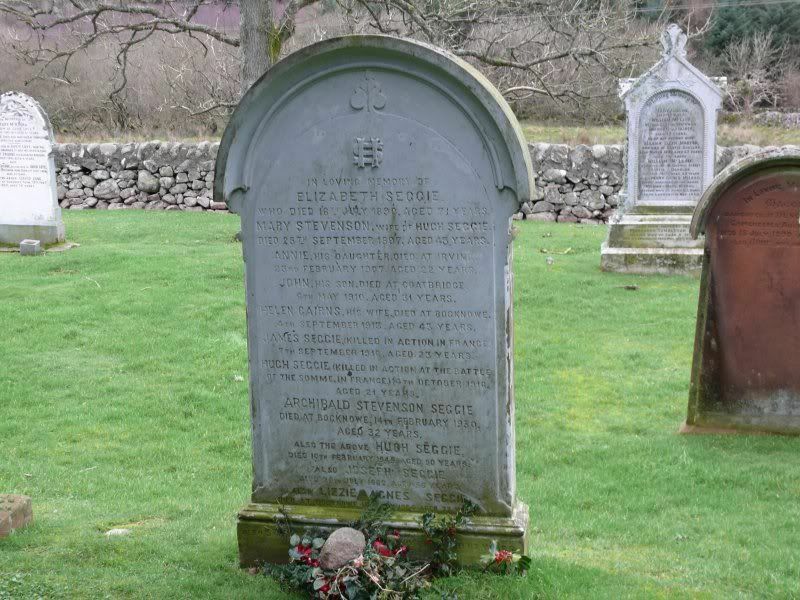 As he was cremated at Carlisle, it must be his ashes that are interred here. 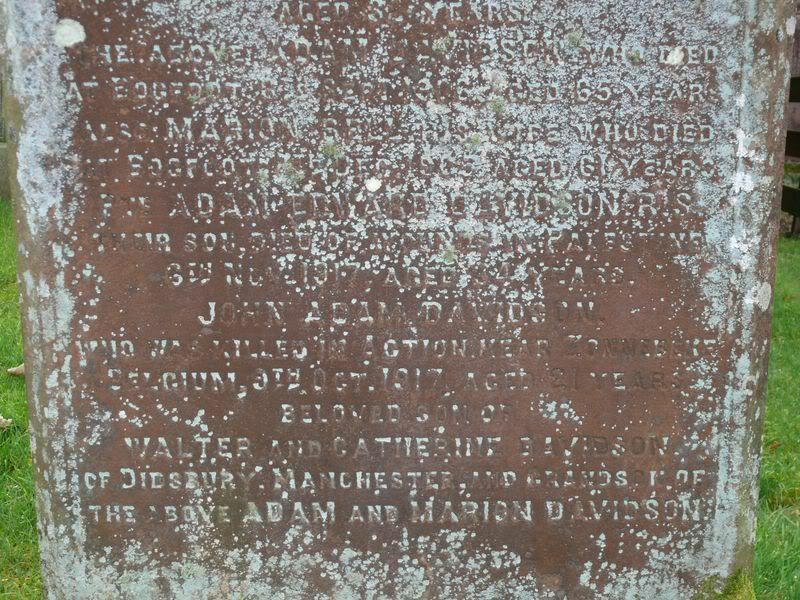 The latter appears (just) on the picture of the Davidson gravestone already posted by Spoons above the lines for John Adam Davidson. 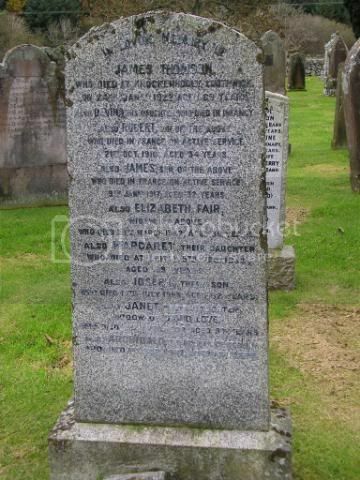 Son of Elizabeth Thomson of Knockenhooly, Southwick, Dumfries, Scotland and the late James Thomson. 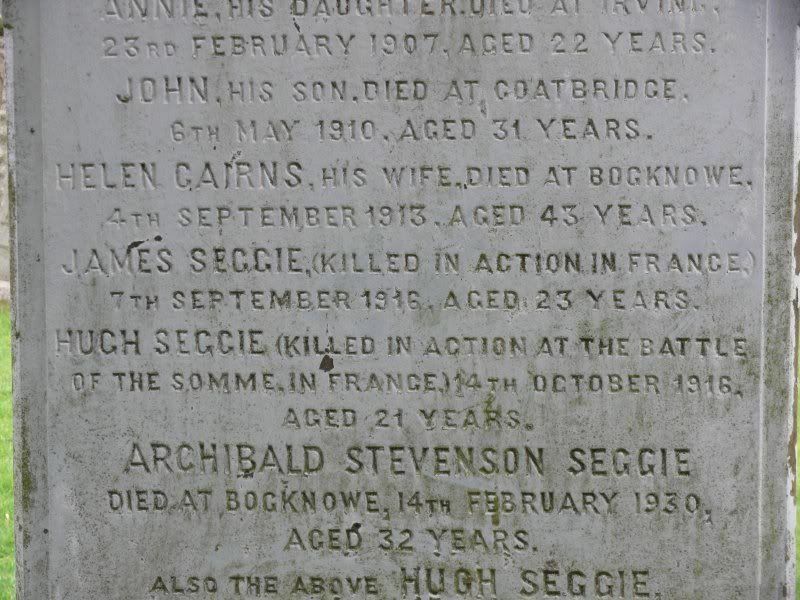 Additional Information: Son of Elizabeth Thomson, of Knockenhooly, Southwick, Dumfries, Scotland, and the late James Thomson. Grave/ Memorial Reference: D. 10. Grave/Memorial Reference: Panel 45, Column 3. The Type 42 Destroyer Gloucester and the Cruiser Fiji were sunk on the same day by dive-bombers off Crete. I was back there today to photograph what I missed on my first attempt. Better light and weather today. 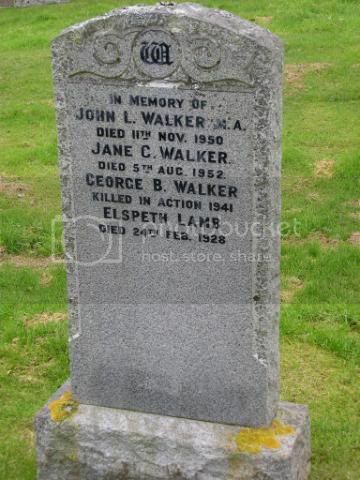 Got Walker, Davidson and Thomson but returned and found that Walker and Thomson had been posted. Oh well, it was a nice drive and I made another couple of stops. I have just edited my post of Davidson above to add the second man and a further photo which might be just a little more legible. Thanks to Ken Morrison for pointing out the omission. Additional info from Ken Morrison. 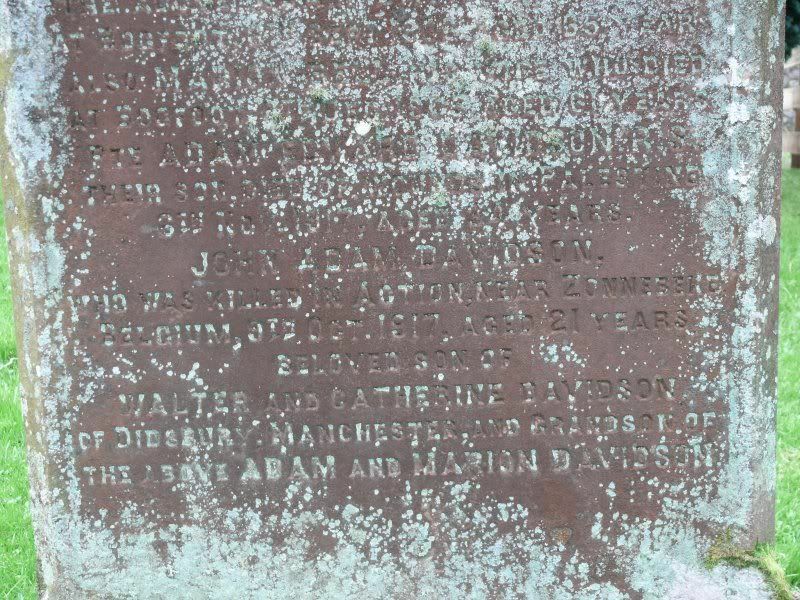 Just to answer your question about the relationships between Adam Edward Davidson and John Adam Davidson, John's father Walter was Adam's brother. So uncle and nephew.